Long Ji Terraced Fields is located in Heping Town, southeast of Longsheng County of Guangxi provice, 80 kilometers from Guilin. 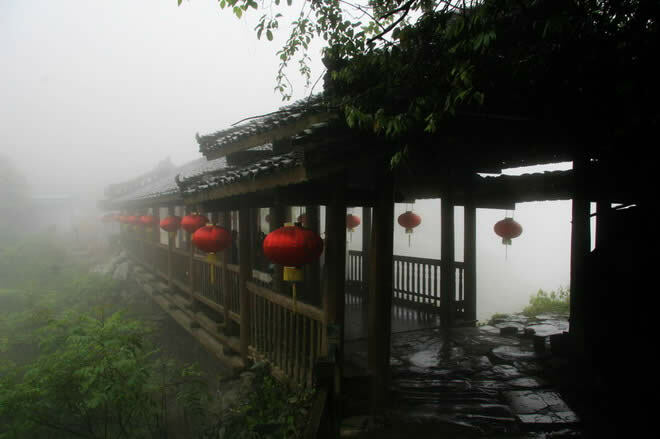 It was built in the Yuan Dynasty and was completed in early Qing Dynasty, over 650 years of history, and it is one of the twenty-one A level scenic spots in Guangxi, mixing of magnificent and beautiful, and has the reputation as "the highest terrace in the world ". 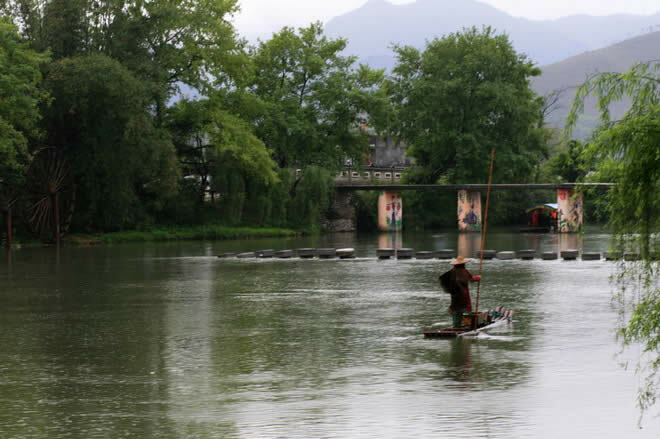 The mainly inhabitant are Zhuangs there, it is said that it is the best place to preserve local Zhuang customs in Guangxi. Stilts in the villages were built on the hillside, it is said that most of the villagers here are migrated from the coast of Shandong, to express their memories and respect to the sea, the villagers still wear blue and white ribbons on the hair. 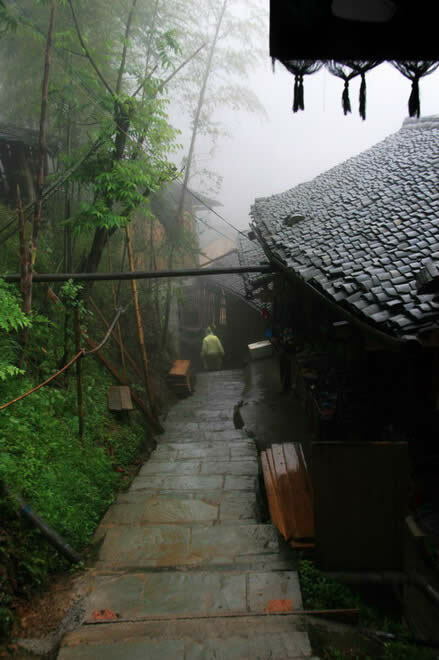 Villagers’ colorful ethnic costumes and magnificent curve of terrace form the custom scenery. 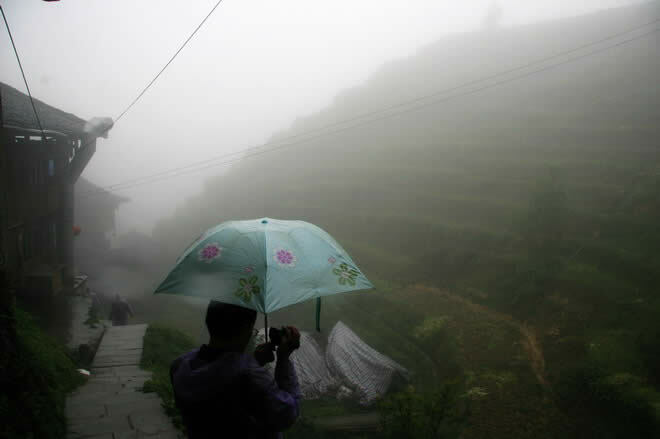 Longji Terraced Fields is a large-scale terrace group, like the chain, from the top to the foot, the hills like snails, the mountains like towers, layer upon layer, scattered high and low. 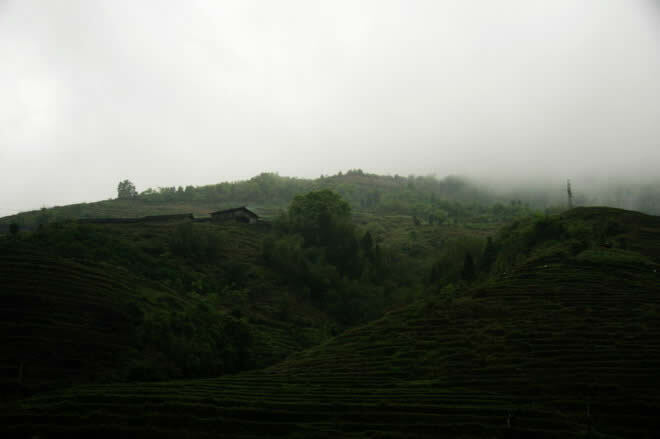 All the terraces are distribution at 300-1100 meters height, 500 meters vertical drop, the maximum gradient up to 50 degrees. The lines fill the gap, forming the majestic sight. In this sea of terraced fields, the area of the largest field is no more than an acre, most of the fields are only fit for growing one or two lines crops, there is a joke that described these small fields: there is a farmer cultivating his 206 fields, after completed, there were only 205 pieces, could not find the last piece, until he picked up his clothes on the ground, then he realized it was the one he was looking for just now. 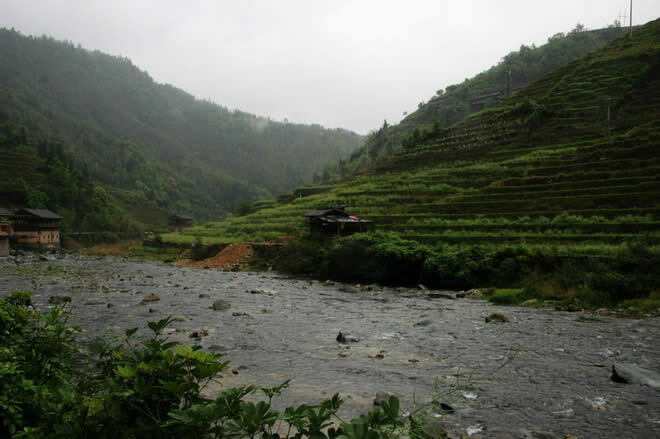 Longji Terraced Fields is the worlds outstanding cultural landscape, ranking on the top of Guilin Tourism scenery spots. Terraced landscape changes with the seasons. 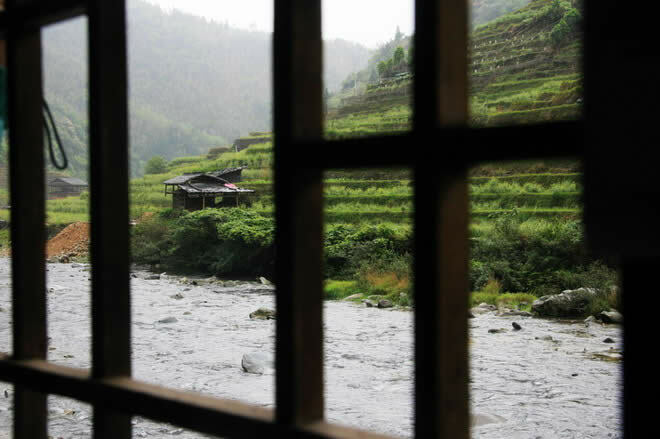 The best time to enjoy the Terraced Fields is the time before and after two seasons --Lunar "Grain in Ear” (spring season for the local villagers) "and "Moonlight ". Snowy terraces are also great, but the snow time is variable, it depends. The average temperature can be up to 28.3 degrees in July and the temperature down to 7.9 degrees in January. 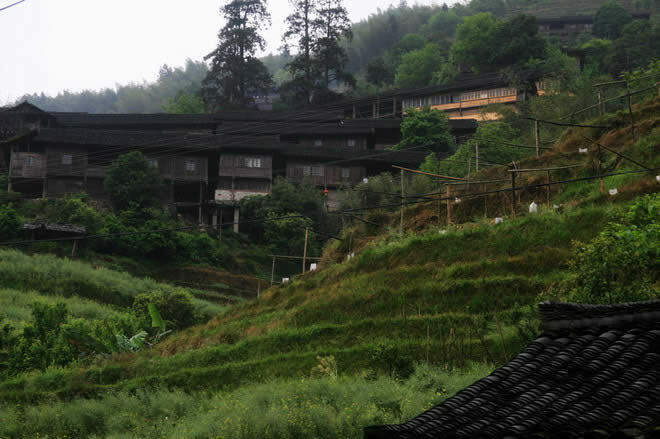 Longji Terraced Fields consist of Pingan Zhuang terraces and Jinyao terraces. 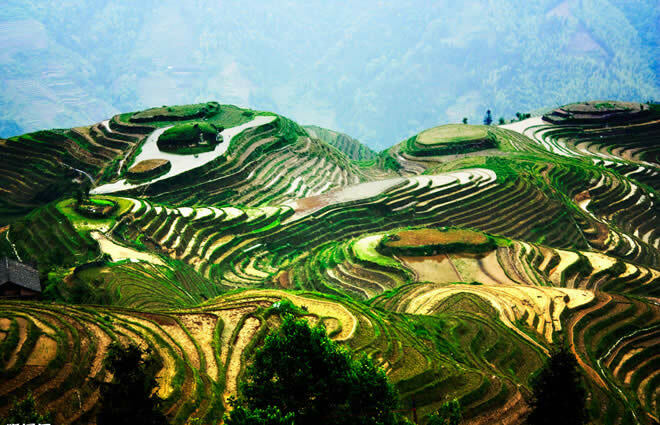 Both two terraces are beautiful like the wonderland, their scale and grandeur are very large, with strong sense of lines and colors, contain a wealth of national culture and protect well enough, they are beyond other terraces in the world. 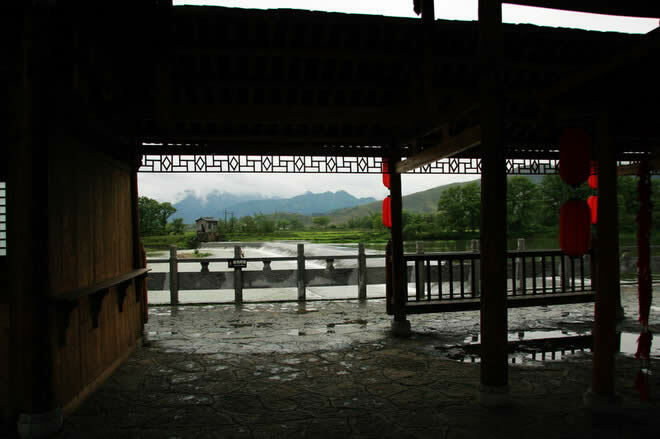 When we arrived at Longsheng, it had been rained all the time. On the way taking shuttle bus of scenic spot up to the mountain. 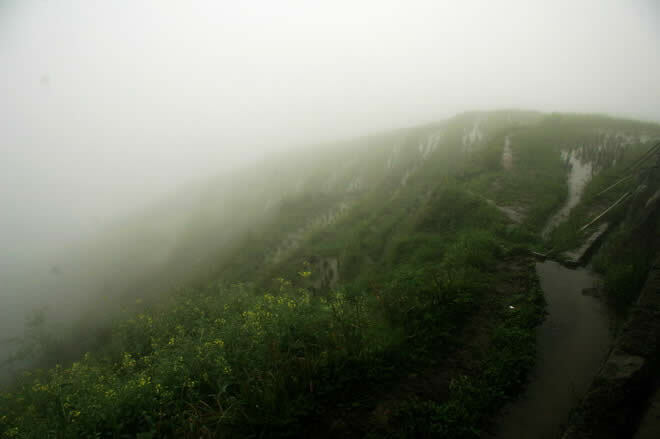 We have prepared well before head for the mountains, but after seeing the terraces in the cloud, we were still excited a lot. 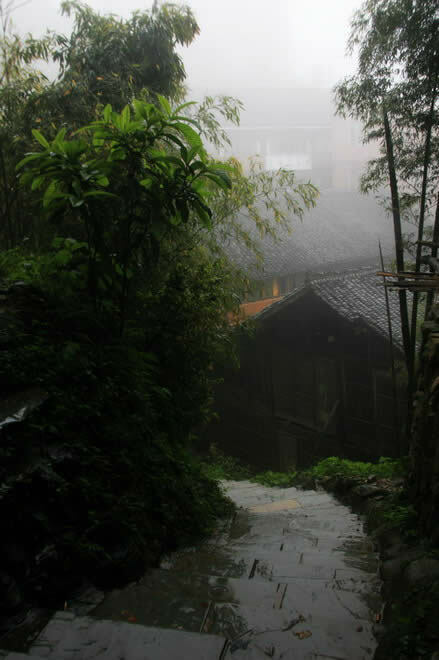 We found that there was another beauty for the Zhuang villages when we went down the hills. 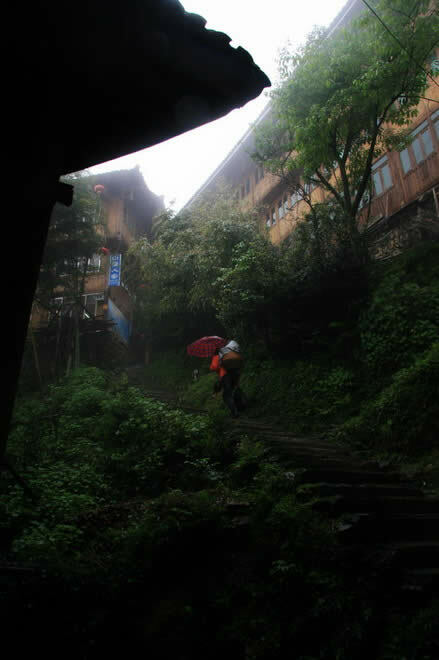 The route for Zhuang people carrying things up to the mountain just like this, no highways, no cable car. 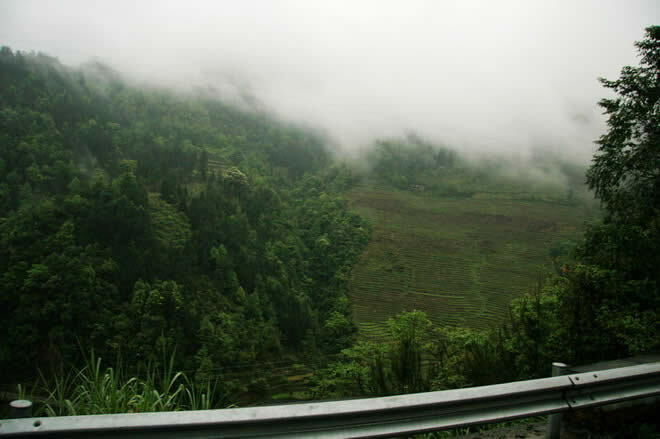 Only this rugged, steep mountain road. 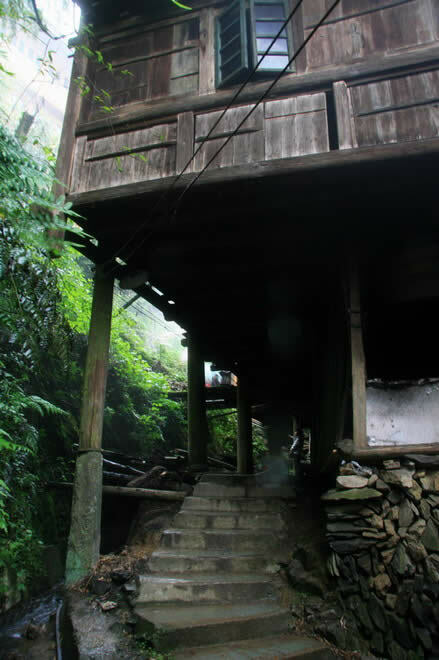 This is stilts, people put things and raise livestock downstairs, and people live upstairs . 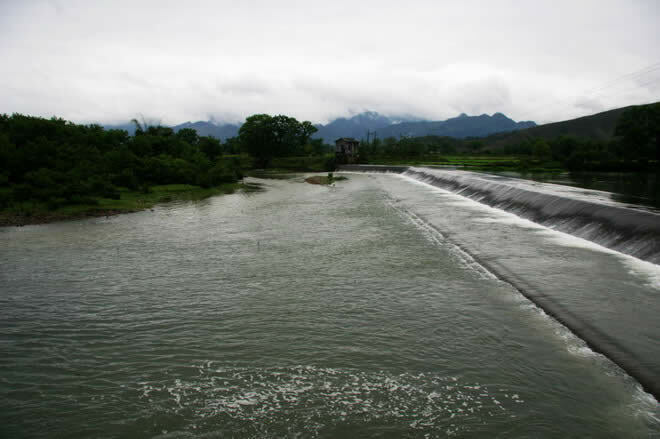 Am I bring the water to Guilin?